It’s good to see Carol McGiffin letting her hair down after a day with the Loose Women. 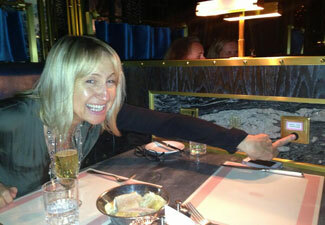 Carol was visiting posh London restaurant Bob Bob Ricard, where you can push a tableside button for a glass of bubbly. Sounds right up her street – and ours. Save us a seat, Caz.